India is the second largest producer of cement in the world after China. 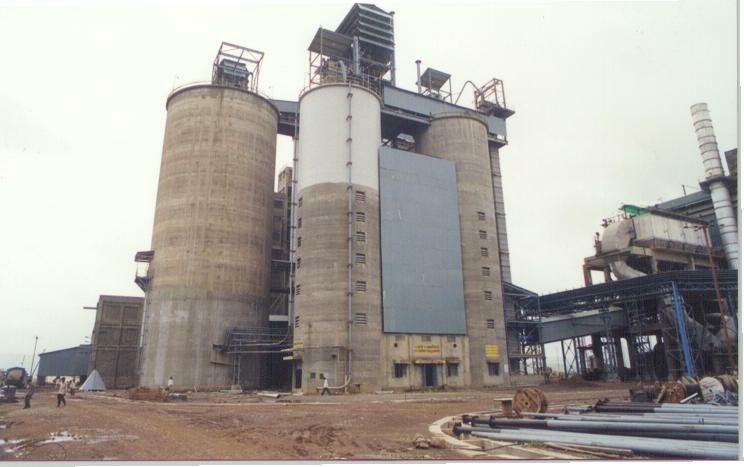 The cement industry comprises of 125 large cement plants with an installed capacity of 148.28 million tonnes and more than 300 mini cement plants. According to the Cement Manufacturers Association, the overall cement production rose by 8.11 % during 2007-08 to 168.29 million tonnes (mt) as against 155.66 mt in 2006-07. Due to the government's boost to infrastructure, the consumption is expected to go up even further. According to a report by the ICRA Industry Monitor, the installed capacity is expected to increase to 186 mt per annum (mtpa) by FY08-end, and 219 mtpa by end of FY09, and further up to 241 mtpa by FY10-end. As a result, India's cement industry will record an annual growth at 10 % in the coming years with higher domestic demand resulting in increased capacity utilization. 100% Foreign Direct Investment (FDI) is permitted in this sector. 100% FDI is also permitted for cement companies for setting up captive power plants as well as coal and lignite mines for captive consumption. As per industry estimates there is a 40 million ton shortfall between demand and supply, which would require an investment of over USD 2 billion.